Nervigard gm Capsule is used in the treatment of neuropathic pain. Take this medicine in the dose and duration as advised by your doctor. Swallow it as a whole. Do not chew, crush or break it. Nervigard gm Capsule may be taken with or without food, but it is better to take it at a fixed time. Nervigard gm Capsule is a combination of two medicines: Gabapentin and Methylcobalamin/Mecobalamin. Gabapentin is an alpha 2 delta ligand which decreases pain by modulating calcium channel activity of the nerve cells. 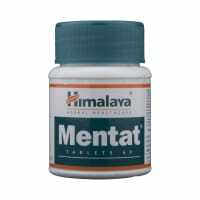 Methylcobalamin/Mecobalamin is a form of vitamin B which helps in the production of myelin, a substance that protects nerve fibers and rejuvenates damaged nerve cells. Together, they relieve neuropathic pain (pain from damaged nerves). Nervigard gm Capsule may cause excessive drowsiness with alcohol. Nervigard gm Capsule may be unsafe to use during pregnancy. Nervigard gm Capsule is probably safe to use during lactation. Limited human data suggests that the drug does not represent a significant risk to the baby. 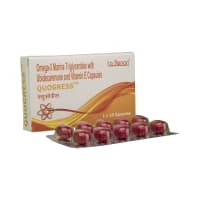 Nervigard gm Capsule may make you feel dizzy, sleepy, tired, or decrease alertness. If this happens, do not drive. Nervigard gm Capsule should be used with caution in patients with kidney disease. Dose adjustment of Nervigard gm Capsule may be needed. Please consult your doctor. There is limited information available on the use of Nervigard gm Capsule in patients with liver disease. Please consult your doctor. You have been prescribed Nervigard gm Capsule for treating and preventing nerve pain. Avoid consuming alcohol when taking Nervigard gm Capsule, as it may cause excessive sleepiness. allways feel like loose motion in the morning. from past 1 year. goes to toilet only once at the morning. no pain in stomach. Burning sensation at the time of urination. Also experience vaginal &amp; abdominal pain &amp; fever. Pls suggest some immediate remedies to overcome pain. Do you have any questions related to Nervigard gm Capsule? Q. What is Nervigard gm? Nervigard gm is a combination of two medicines: Gabapentin and Methylcobalamin. 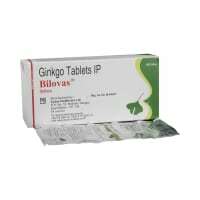 This medication is useful in the treatment of pain due to nerve damage (peripheral neuropathy). 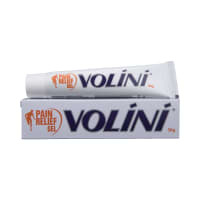 This medication works by regenerating damaged nerves in the body and decreasing the pain sensation. Q. Can I stop taking Nervigard gm when my pain is relieved? No, take Nervigard gm for the full prescribed length of time. Your symptoms may improve before the nerves are completely regenerated and healed. Q. Can the use of Nervigard gm cause sleepiness? Yes, the most common side effect of Nervigard gm is sleepiness. Do not drive, operate heavy machinery or engage in other activities that need your full attention. Do not drink alcohol while taking Nervigard gm as it can lead to severe sleepiness , causing falls or accidents. No, taking a higher than the recommended dose of Nervigard gm can lead to increased chances of side effects and toxicity. If you are experiencing increased severity of your symptoms that are not relieved by the recommended doses, please consult your doctor for re-evaluation. Q. What is the recommended storage condition for the Nervigard gm? A licensed pharmacy from your nearest location will deliver Nervigard gm Capsule. Once the pharmacy accepts your order, the details of the pharmacy will be shared with you. Acceptance of your order is based on the validity of your prescription and the availability of this medicine.